Northern Ireland continues to get wired up with the fitting of Wirerope/Cable barriers (Vehicle Restraint Systems – VRS) in the central reservation of new road dualling schemes across the province. We first noticed these barriers in Belfast a few years back, situated at the junction of Tesco’s at Newtownbreda, although a small section of this type of system but it just seemed to be a beginning of the sprawl of these barriers. Their infusion into the Northern Ireland roads infrastructure continued with the by-pass around Ballymena, with stretches of wirerope barriers fitted on A1 Beech Hill to Cloghogue dual carriageway (Newry By-pass) in July 2010. In 2011 the then Roads Minister Conor Murphy, officially opened the £45million A2 Maydown to City of Derry Airport dualling scheme. Local members of the motorcycle fraternity were spurred into public action and they formed into an organized group called, A2 Bikers against Rope Barriers – (BARB). The group unanimously agreed that a wrong and lethal decision has now been made by Roads Service, supposedly on our behalf, resulting in a 100% rejection by bikers, of this type of Vehicle Restraint System chosen for this stretch of road. Both Right To Ride and the British Motorcyclists Federation (BMF) supported this group. The lastest schemes in Northern Ireland that will use a wire rope system are the A8 (Larne Line) Duelling Project and the A2 Shore Road Project – Carrickfergus. These projects are under construction by a consortium of companies, government departments and are funded by various means including- Lagan Construction, Ferrovial Agroman, Costain Ltd, Graham Construction. Co-financed by the European Union Trans-European Transport Network (TENT), Northern Ireland Assembly and the Irish Government. We would assume under the auspicious of the Department for Regional Development – Transportni. The concern is that any further projects will continue to install these “deadly” systems! At Right To Ride we have major concerns about these Vehicle Restraint Systems (VRS), as do the majority of riders around the world i.e. Ireland, England, Scotland and Wales and in the rest of Europe as well as America, Australia and New Zealand, in fact anywhere in the world where these systems are installed with motorcycle – scooter or trike riders present. In September 2014 the newly formed A11 Riders Action Group demonstrated against the fitting of wire rope systems on the A11 project between Thetford and Barton Mills in Norfolk – England. The ultimate aim of this group is to ban the use of Wire Rope Barrier Vehicle Restraint Systems the protest saw more than two hundred riders take part with the group petitioning the Government and in dialogue with the Highways Agency, MP, MEPS and ministers. As with Sweden and England, various reports from riders organisations conclude that there appears to be no consideration taken for the possible fatal interaction with riders in the case of a collision with these “killer” wire rope barriers. 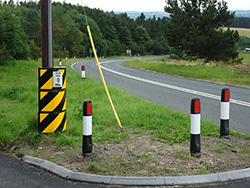 Why are these barriers with their multiple exposed rigid – for a riders body to hit – posts are still fitted on our roads when other countries have banned them from being fitted such as Norway, Denmark and the Netherlands? The answer is the European standards (CEN) that allow this type of system to be fitted after testing with other vehicles but not in consideration with motorcycles and not with riders. CEN approve standards and pass the criteria laid down in the testing for the standard. What is clear at Right To Right is that when Ministers, politicians and government gear up to announce that projects will result in improved safety for traffic or there will be a positive finacial impact on Northern Ireland, they have all forgotten about one mode of transport and that is the motorcycle – the scooter and their riders. Therefore these systems are being fitted without consideration for the risk regarding injury and death to motorcyclists – in fact there appears to be no consideration to other vehicles or non motorised users (i.e. behind the VRS installation) or how a motorcycle reacts when striking the wire rope barrier. Even if there is the best standard in the world for other vehicles they are not assessed/tested for motorcycles. In Northern Ireland we are not aware of any impacts by motorcyclists with these wire rope barriers. However the more of them that are fitted the greater the risk that an impact will happen. 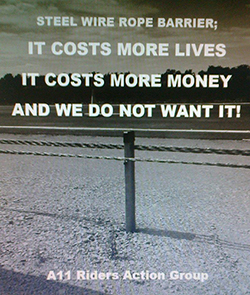 Perhaps it is time for that factor to be considered more in-depth before further instalments of wire rope barriers. What’s The Problem Then – The Excuses? While we assume that Vehicle Restraint Systems fitted in Northern Ireland have passed European Standards (Committee of European Normalization (CEN – EN1317) there appears to be no specific European standard for motorcyclist protection for impacting crash barriers, either while the motorcyclist is in an upright position or sliding on impact. According to a study by the European Union Road Federation (ERF), the Brussels Programme Centre of the International Road Federation (IRF) “Discussion Paper February 2009”, the severity of the impact increases if the road restraint system (when present) is not designed for the protection of motorcyclists. The problem is the exposed posts of any barrier system being struck by a falling rider, wirerope barriers being the most “aggressive” of systems with its exposed posts either for a sliding rider or a rider on a motorcycle impacting in an upright position at whatever angle. Therefore barrier systems that have passed European standards are fitted on the roads but are not motorcycle friendly specific. Exposed posts computer simulation with rider and rider and bike. The document “Design Manual For Roads And Bridges Requirement for Road Restraint Systems” describes the procedures to be followed in the design and provision of various types of Road Restraint Systems and also introduces a risk based framework to support designers in making optimal design choices at specific sites. 3.41 At sites identified, e.g. through accident records, to be high risk to powered two-wheel vehicles, such as tight external bends, consideration must be given to the form of VRS chosen to minimise the risk to this category of driver. Any special requirements must be stated in the contract. 3.42 At such high risk sites, it is recommended to use an ‘add on’ motorcycle protection system to post and rail type safety barriers to minimise the risk of injury to motorcyclists. The Design Organisation must check with the safety barrier manufacturer that any such proposed protection will not invalidate the tests on the safety barrier. Such ‘add on’ products must be approved by the Overseeing Organisation and be compatible with the safety barrier to which it is being attached as these products are not included within BS EN 1317. These sections of the document have been quoted in response to the A11 Riders Action Group. However in our mind and our interpretation is that these are quoted out of context because what has been quoted is identifying sites at high risk, with the one example of tight external bends. 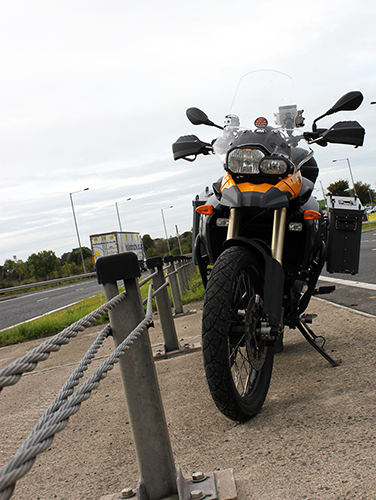 In context and for the overall fitting of wire rope barriers (Vehicle Restraint Systems -VRS) as regards motorcyclists, TD19/06 quite plainly states that the Road Restraint Risk Assessment Process – RRRAP – is not capable, at present, of assessing the risk to motorcyclists. Are You Sure There Is A Problem? In the eyes of our roads authorities how many people can be so wrong over so many years? 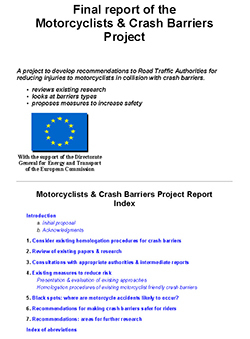 In 2000 FEMA – Federation of European Motorcyclists Federations published its “Final report of the Motorcyclists & Crash Barriers Project” which aimed to develop recommendations to Road Traffic Authorities for reducing injuries to motorcyclists in collision with crash barriers. The project reviewed existing research, looked at barriers types and proposed measures to increase safety, the project was with the support of the Directorate General for Energy and Transport of the European Commission. The possibility of making roadsides safer for motorcycles will depend mainly on the priority and budget allocated to this item on the Road Safety Agenda of appropriate authorities. 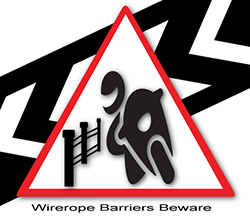 They (wire rope safety fences WRSF) are however widely criticised by motorcyclists ……….. As posts have been identified as the main danger to motorcyclists impacting roadside furniture, WRSF theoretically represent the same danger as the standard metal barrier. However these lend themselves more readily to the addition of protective system. Thus WRSF represents the worst choice in a motorcyclist’s viewpoint: it seems difficult to improve their safety with regards to a motorcyclist at a reasonnable cost. 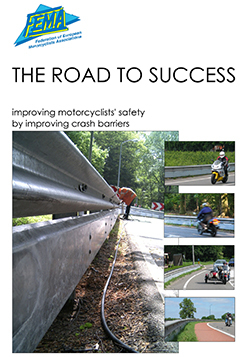 In 2005 FEMA – Federation of European Motorcyclists Federations published a document intitled “The Road To Success – Improving motorcyclists’ safety by improving crash barriers” as a follow up to the 2000 publication. 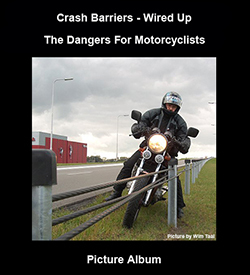 The Road To Success states, “Motorcyclists in general consider cable barriers to be the most dangerous of all existing Vehicle Restraint Systems. 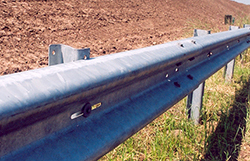 The exposed supporting posts standso close together that post accident, a rider would inevitably collide with one or more of the posts which are frequently sharp edged. This would result in severe injuries. Furthermore, if colliding with the cables, a cutting effect may occur. It is not without reason that cable barriers are referred to as ‘cheese cutters’. Themotorcyclists’ view on cable barriers are supported by results from full scale tests and computer simulations. 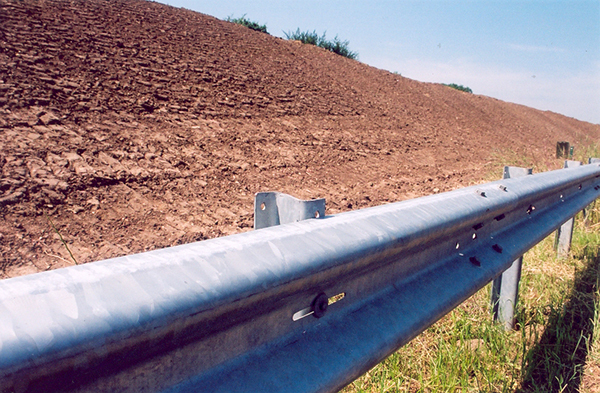 For these reasons, all motorcyclists’ organisations in Europeare strongly opposed to the use of cable barriers. Most ‘road furniture’ is designed with cars in mind and motorcyclists’ safety needs are not taken into account. This becomes painfully clear by looking at the design and testing of conventional crash barriers. In our view roads and roadsides should be safe for all road users, including motorcyclists, and road authorities should advocate ‘obstacle – free roadsides’. 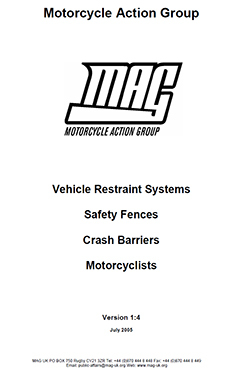 Also in 2005 the Motorcycle Action Group (MAG) published “MAG – Vehicle Restraint Systems Safety Fences Crash Barriers Motorcyclists” a report that gave the position of MAG UK that the main cause of injury to riders are the exposed upright posts of all Vehicle Restraint Systems, which are more prevalent and more exposed in wire rope systems. 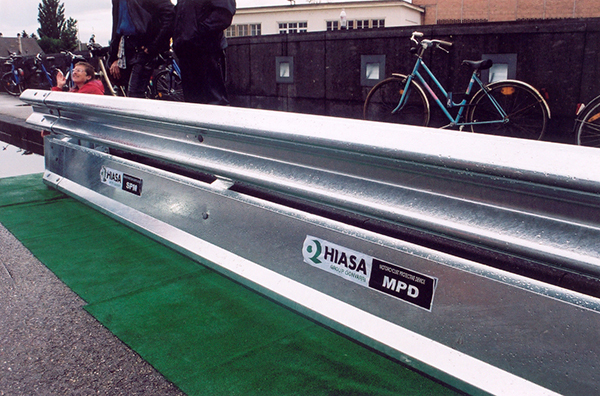 MAG continued that the fitment of “motorcycle-friendly” secondary rails to existing Vehicle Restraint Systems is seen by riders’ organizations as the most advantageous preventive methodfor riders to avoid hitting exposed posts. Furthermore, MAG UK believed, “That themethodologies used by both national and EU government of determining accident rates are conceptually biased. 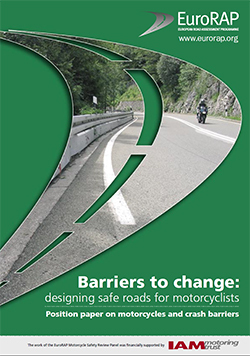 In December 2008 EuroRAP published a document – EuroRap – Barriers to Change: designing safe roads for motorcyclists – December 2008 pdf 2.4mb position paper on motorcycles and crash barriers. Right To Ride’s Trevor Baird, was part of the panel who produced the document, as then representative of the Federation of European Motorcyclists Associations (FEMA). Northern Ireland’s Department for Regional Development and Southern Irelands, National Roads Authority (NRA) were also part of the panel, so they are no strangers to the issues in Ireland as a whole. However, the panel’s position, reached by consensus (not all agreed), on wire rope barriers must be challenged. 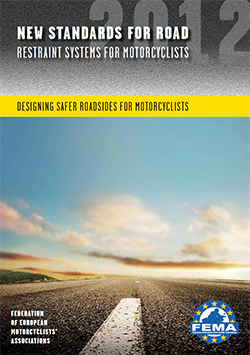 In 2012 FEMA revisited the issues around road restraint systems for motorcycles with their document FEMA – New Standards For Road Restraint Systems for Motorcyclists. The document sets out quite clearly a stance as regards crash barriers, “Crash barriers are designed with only cars and heavy vehicles in mind. The European testing standard has made no mention of motorcycles for the last decades even though hitting a road restraintsystem is a factor in 8-17 per cent of rider deaths. In collisions with crash barriers, riders are 15 times more likely to be killed than a car occupant. As regards wire rope systems FEMA state, “In Scotland, between 1990 and 2005, the fatality rate for impacting motorcyclists is 100% for wirerope barriers, against 58.3% for other barrier types. FEMA also touch on the cost factor of wire rope sytem from a Swedish report and the believe that these sysems are cheaper, “Wire rope barriers are an attractive option for road authorities and road operators because of their low installation cost, more competitive than otherbarrier types. However, the data and the statistical models used show that cable barriers have to be repaired even after minor damages. 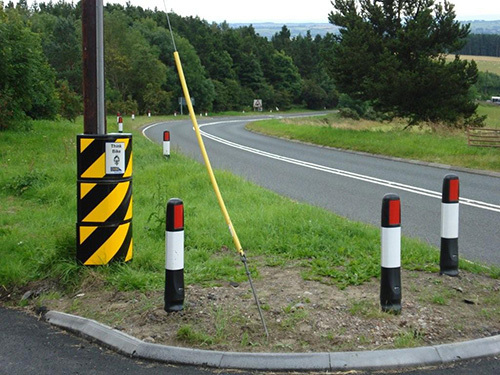 Just to touch on motorcycle friendly systems, which are available to road engineers in the UK, these various “Motorcycle Friendly Barrier” systems can be retro fitted to barriers already in place. These systems usually consist of a lower rail or covering that protects the exposed posts of the barrier being stuck. 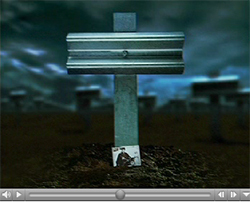 Other protection involves the post itself being protected with a covering. 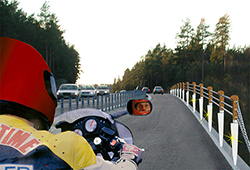 These “Motorcycle Friendly Barrier” systems have passed a national standard for motorcyclist protection which does not affect the “operation” of the original barrier. In Europe through the CEN Standard a Technical Specification EN 1317-8 has been accepted which is intended to apply to any system which would fit onto any barrier or a specific barrier which is expected to be forgiving of motorcyclist impacts. along the road surface having fallen from a motorcycle. Understandably road authorities and engineers have constraints and budgets to work within for the placement of crash barriers or vehicle restraint systems on Northern Ireland roads, but there does not appear to be any statistics that present data for motorcycles impacting these systems. Road authorities in Northern Ireland, responsible for the fitment of crash barriers, should be encouraged not to be influenced solely by short term “commercial” cost benefit analysis which may exclude motorcycles, simply because they represent a minority of road users. While engineering solutions may strive to protect the majority (i.e. cars), the long term impact may be far more costly due to the lack of consideration of motorcyclists and their injuries. 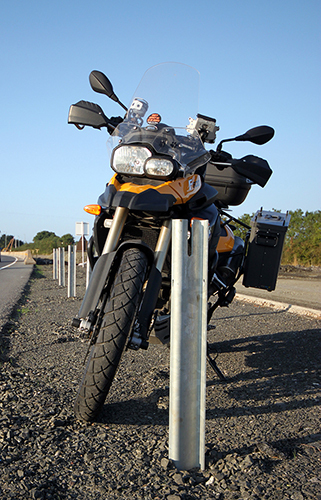 Motorcycle Friendly Barriers that are added to barriers in place should be considered and fitted where there is a risk to motorcyclists hitting barriers and consideration to the placement of new barriers and a review/audit of barriers already in place. There should be a reconsideration of the use of Wirerope Barriers in Northern Ireland. This in consideration that road safety engineers are responsible for designing the road network to be as safe as possible, for all types of road user. Which are designed to reduce the number and severity of casualties and to prevent them in the first place. That riders representative groups are contacted for their opinion – always! 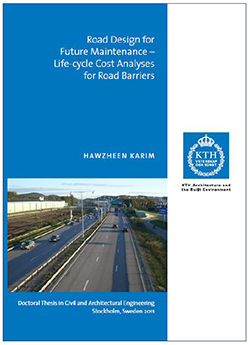 The – Road Design for Future Maintenance – Life-cycle Cost Analyses for Road Barriers, is a doctoral thesis which presents the results of research conducted in co-operation with the Swedish Royal Institute of Technology (KTH), Dalarna University (HDa), the Centre for Research and Education in Operation and Maintenance of Infrastructure (CDU) and the Swedish Transport Administration (STA) by Hawzheen Karim. This document from Sweden looks at repair rates for barriers and associated repair costs as one of the major maintenance costs for road barriers. It analyses the effect of several factors on barrier repairs costs, such as barrier type, road type, posted speed and seasonal effect. The document also looks at the injuries associated with road barrier collisions and the corresponding influencing factors. The results showed significant differences in the number of injuries associated with collisions with different barrier types. These are some of the conclusions from the document and we hope that the Roads Service can take note with the continued extensive fitting of wire-rope barriers in Northern Ireland. The repair rate and the average repair cost per vehicle kilometre for median cable barriers is higher than for median w-beam barriers, regardless of road type. The repair rate for median barriers along motorways can probably be almost halved by using w-beam barriers instead of cable barriers. The rate of injuries associated with barrier collisions in Sweden is higher on roads equipped with cable barriers than on roads equipped with the other barrier types studied. Therefore these systems are being fitted without consideration for the risk regarding injury and death to motorcyclists. As always on motorcycling issues we welcome your thoughts and opinions. Learn-2-Ride opposes the installation and use of lethal wire safety barriers in Northern Ireland on the grounds of motorcyclist safety, calls for a more motorcyclist-friendly solution to be implemented and fully supports Righttoride in this matter. English Highways Agency have effectively mandated rigid concrete barriers for all new/replacement motorway and high speed dual carriageway roads since 2005. In NI such barriers have only been installed on the M2 Sandyknowes-Greencastle and M1 Broadway-Stockmans Lane and near Lisburn. 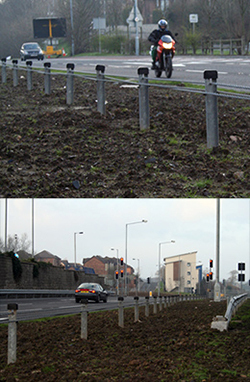 However there were other barrier upgrades in NI post-2005 which used rigid steel barriers instead of concrete. Concrete seems to be the lowest-maintenance, highest containment and most motorcycle-friendly barrier system currently available yet very reluctant to be embraced as the norm in NI. Perhaps because of SHORT-TERM FINANCIAL PLANNING (concrete upfront installation cost more than steel or wire, totally ignoring the face that whole-life cost is less than the latter)? Couldn’t agree any more with what you have said. The Highways Agency Interim Advice Note 60/50 (Jan 05 http://www.dft.gov.uk/ha/standards/ians/pdfs/ian60.pdf which has been superseded by TD 19/06 http://www.highways.gov.uk/business/12081.aspx which was implemented from 1st August 2007 in N.Ireland) states that where ADDT (Average Annual Daily Traffic) exceeds 25,000 vehicles per day, there are significant benefits in using rigid concrete rather than deformable steel barriers on busy motorways and dual carriageways. These include improved health and safety, reduced repair and maintenance requirements and greater Whole Life Cost benefits. • Although concrete can be up to 30% more expensive to install, the average scheme costs of installing concrete barrier are assessed as being just 0.2% greater than steel, although this may be greater where changes to the central reserve drainage are required. Further cost savings will result from improving safety and reducing the likelihood of crossover accidents. Whether work being done by FEMA in Europe through the CEN standards will make any difference will we have to wait as Roads Service and developers install wire rope barriers?